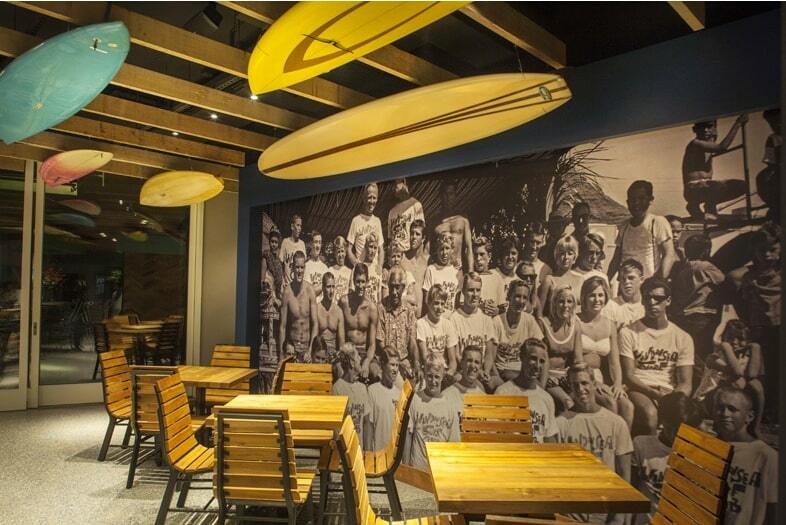 Dukes Restaurant in Waikiki is named after the father of modern surfing, Duke Kahanamoku. The Hawaiian surfing legend was the ambassador of Aloha around the globe as well as an Olympic gold medalist. The Duke took the gold in the 100m freestyle in Stockholm in 1912, Antwerp in 1920 and silver in Paris in 1924. While he is gone, his legacy of aloha remains as strong as ever. 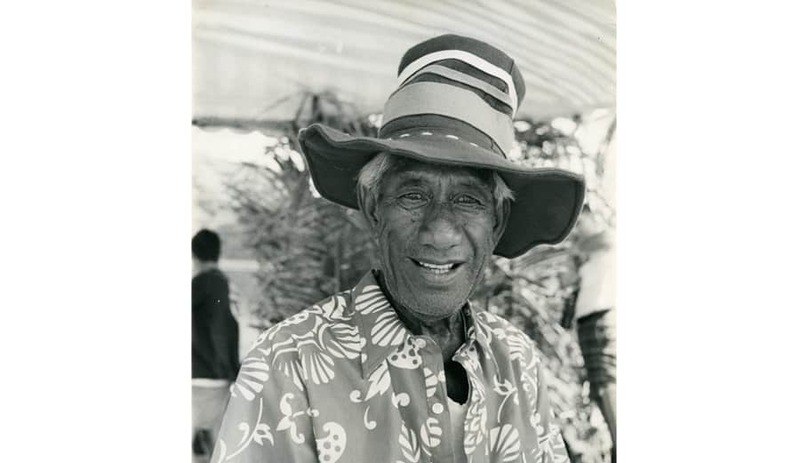 The Duke is revered as the “Father of Modern Surfing” because as a Waikiki beach boy, he almost single handedly reintroduced surfing to the world. today the restaurant bearing his name carries on that spirit with locations on Oahu, Kauai, Maui, Malibu and La Jolla. Indoteak Design was chosen to provide our reclaimed teak to be featured throughout the restaurant by the Hatch Design Group. The Hatch Design Group, Inc. (HDG) is a commercial hospitality design firm specializing in the front end and food service design of venues ranging from boutique and chain restaurants to multifaceted hotels, casinos, and golf clubhouses since 1969. 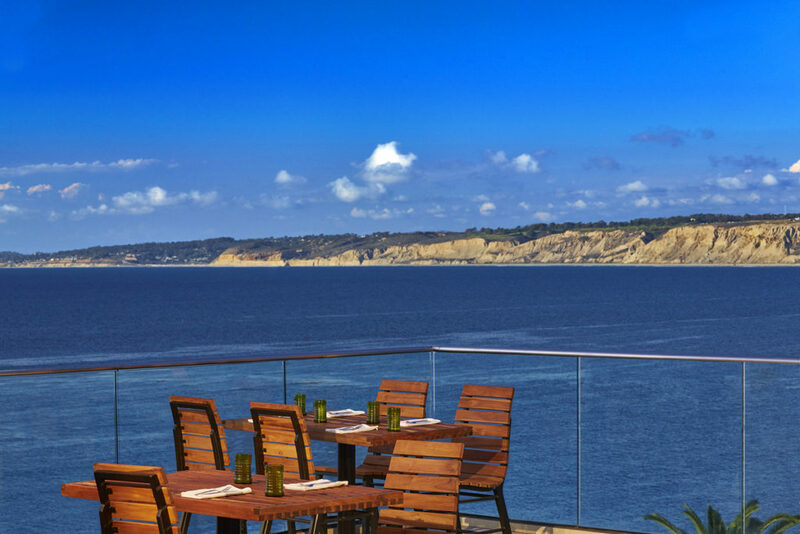 The incredible view from the deck at Dukes La Jolla. Designed by the Hatch Design Group. The La Jolla location sits atop the world famous La Jolla Cove, a wonderful throwback stretch of coastline thats considered one of the most beautiful places in the United States. 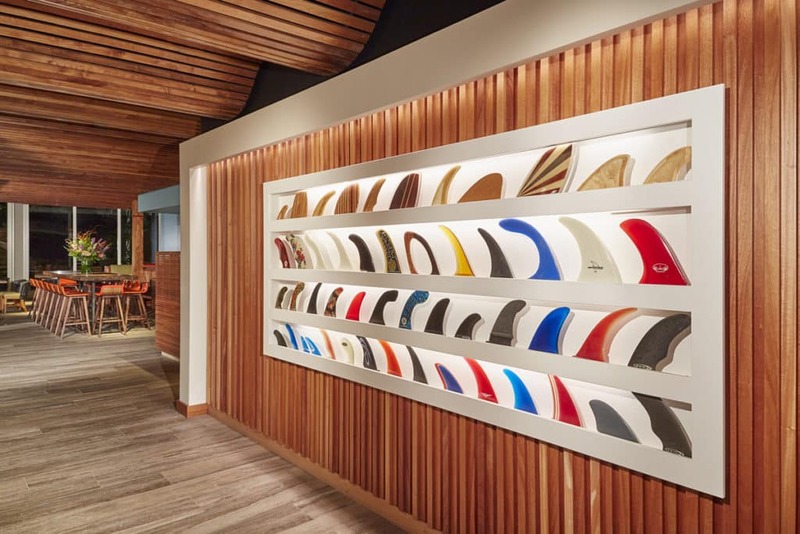 The decor reflects the surf vibe and the aloha of Duke, complete with rare and vintage surfboards, fins and photography of Duke Kahanamoku with celebrities and surfers alike. 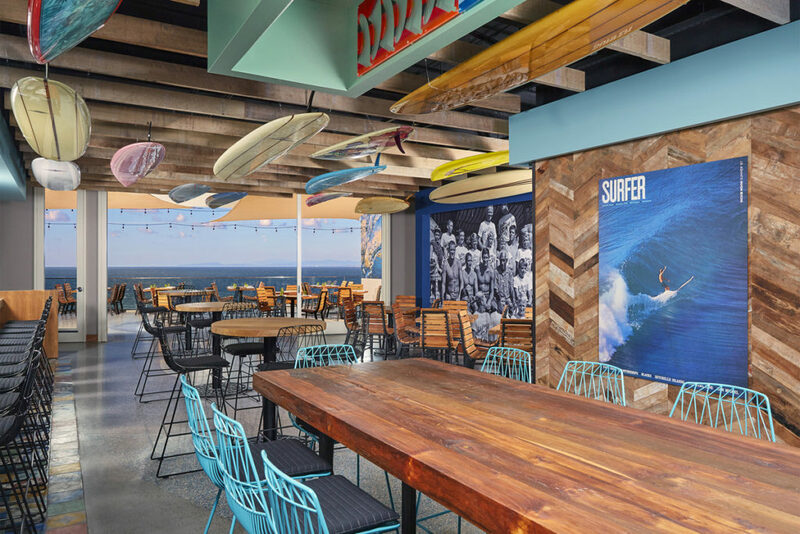 With 100% reclaimed teak bar tops, tables, flooring, soffits and wall coverings, the Dukes in La Jolla offers a warm beach vibe that compliments its stunning views. Indoteak 100% reclaimed teak flooring in Dukes La Jolla. All of IndoTeak’s material is responsibly sourced and FSC Recycled 100%. The FSC holds its reputation as the most credible forest certification as to ensure the grade and authenticity of production. Because we recycle this historic Teak, the wood has a unique and luxurious grain patter and size that is incomparable to farmed Teak. Safe to say, with a resource this precious and rare, we want to handle it with utmost respect. Duke Kahanamoku with the world famous Windansea Surf Club in Makaha 1964 – The iconic image overlooks the main dining hall. 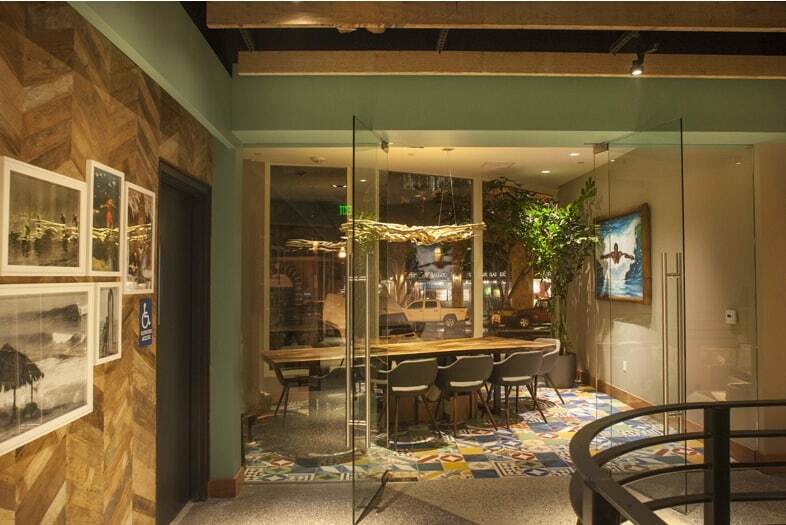 Indoteak Design reclaimed teak Chevron Plywood lines the up stairs walls at Dukes in La Jolla, Ca. 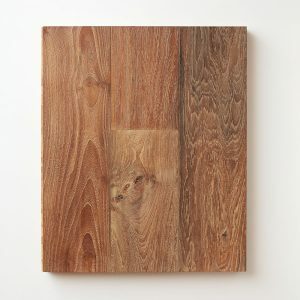 Created for beauty, ease of installation, and durability, Indoteak’s Sheet Goods are beautiful front to back. 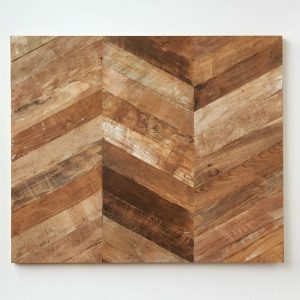 Perfect for Cabinets, Doors, Drawer Fronts, Wall treatments and more. Several styles are always stocked in our San Diego warehouse, and custom products are available with minimum orders.